Their temporary boutique opened yesterday, as scheduled, in London’s West End for just 5 days, allowing shoppers to browse their potential purchases before splashing out online. This is by no means eBay’s first foray into expanding from their online auctions; why not check out our previous article on their augmented reality app from earlier this year. The shopping emporium works by making use of QR, or Quick Response codes. If you’re interested in learning more about QR codes and how they work, check out our previous post here. Customers can wander around the store and browse to their hearts content, purchases can then be made using a smartphone (or any other connected device that can read QR codes). "Shoppers simply scan the QR code with their smartphone to make their loved ones’ Christmas wishes come true – no tills, no queues, no bags, no stress. Using your mobile phone, you can literally complete your shopping in a matter of clicks," claims eBay’s spokesperson. Experts expect approximately 5.8 million shoppers to log on during the five day sales, with sales peaking at 30 gifts per second, almost double during the same period of 2010. 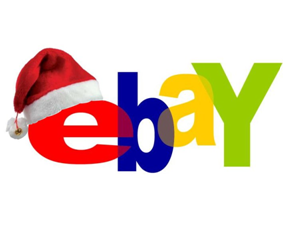 EBay say they are expecting around 120 gifts to be purchased every minute via smartphone.